This 1962 map of Coolangatta Airport still shows the wartime triangular runway pattern. Added markings show the take-off direction and approximate crash site of Lodestar VH-BAG. 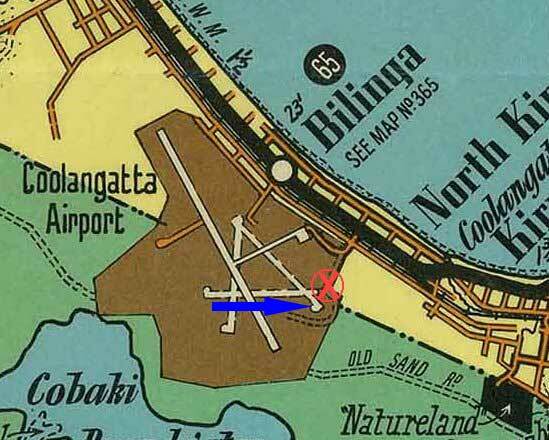 The map also demonstrates the point that Coolangatta Airport is at Bilinga.